It would be a pity to leave the underside of your investment open to the elements. 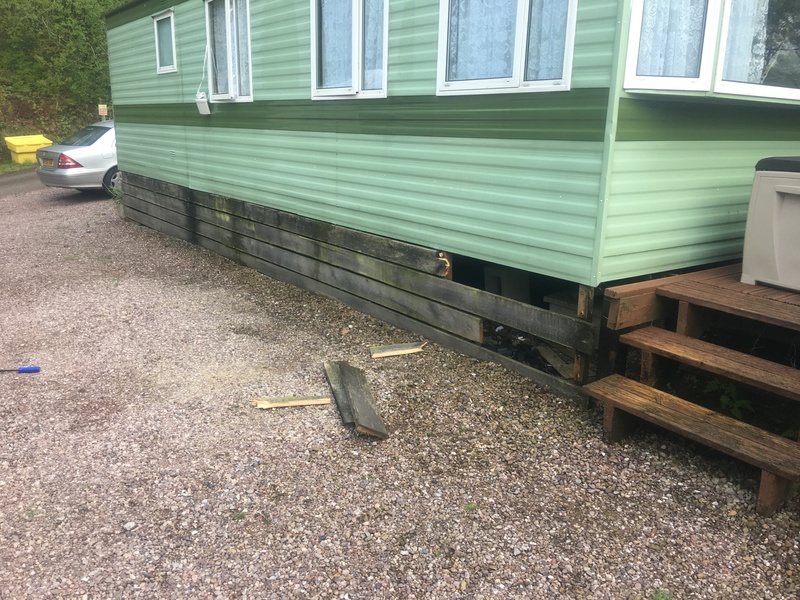 That's why we install quality skirting not only protecting your static home but also finishing the look of your static caravan. Fastlane Autocare has been providing a dedicated static caravan repair service for well over 20 years. In that time we have undertaken a large selection of upgrades and renovation projects ensuring our customers get the look and protection they want. Having bought your static holiday home, park home or lodge, and sited it, it is time to complete the look with our 10-year guarantee Vinyl skirting system. It would be a pity to leave the underside of your investment open to the elements. You will find not only does our skirting system look great, finish the look of your caravan and also protect the underside. It also stops drafts and retains lost heat from the floor of your caravan. Fastlane Autocare is pleased to offer static caravan bottom skirting. This has been added to our quality product range meaning we have all needed parts to complete this work in stock which means no waiting and no-nonsense. Our UPVC static caravan skirting system not only improves the look of your home it also insulates beneath it and prevents any build-up of windblown debris gathering under your home. Our front rail resists warping and blowout because an overlapping design allows for expansion and contraction of the panels in any climate. This gives a long lasting fresh clean look. We can build in a Removable panel that lets you store garden tools, lawn furniture and children's toys out of sight but not out of reach. The back rail is designed to receive the front rail and panels. This is cut to ground level and massively increases strength. Interlocking panels keep skirting secure and locks hidden to enhance the appearance of your static home. Centre Ventilated panels help eliminate moisture build-up and allow for proper air circulation. Our fully installed frame provides a stable foundation and prevents the channel from buckling. Extra wide panels to give the look of the original material used on your static home. Three designer colours match all applications, Tan, White & Chocolate Brown. As you can see it made a real big improvement! To keep your new skirting looking as good as new all that is required is a wash down with a mild detergent once or twice a season, do not attempt to use solvents on it as they may damage the surface. We do stock the designated cleaner for your new skirting. With us, you get a 10-year guarantee your static home skirting will stand up to the worst the UK weather can throw at it. However, it will not withstand strimmer blades when cutting surrounding grass be aware line strimmers can damage this product and any damage done by such will invalidate the warranty. We recommend if it is a grassed area we install a stone base 30cm (1 plastic school ruler length away) from your new skirting. This will not only give a cleaner finish but also protect your plastics when cutting your grass. Static caravan skirting, we are the specialist Suppliers & Installers of caravan skirting kits for static caravans. Our static caravan skirting, both composite and plastic (UPVC) is easy to maintain. We also offer a fitting service. The age resistant finish on our static caravan skirting is designed to last for years. Our static caravan verandas (often referred to as caravan skirting) are available in a range of colours and textures with veranda ancillary products and caravan accessories to compliment your caravan. These include post tops, ramps and extended walkways, balustrades and caravan skirting fencing, and a range of lighting and decorative skirting fittings. Our caravan skirting prices include fitting and the product. Our kits are designed to fit of your static caravan perfectly. 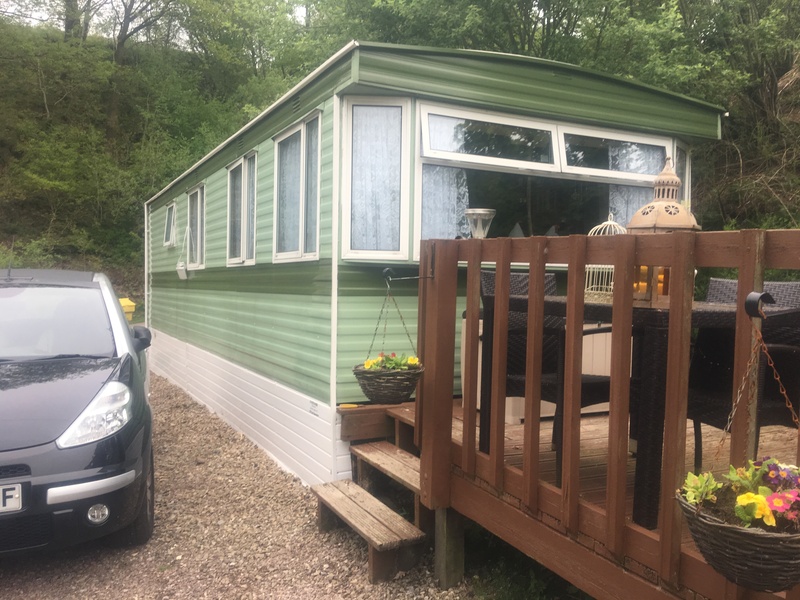 As a major installer, we can install caravan skirting at holiday parks throughout the North West including North And Mid Wales. Prices are not affected by where your caravan is located.